Choosing a Board Certified Plastic Surgeon with excellent skills and credentials is one of the most important considerations in moving forward with cosmetic surgery. Dr. Phillips is Board Certified in Plastic Surgery by the American Board of Plastic Surgery. Additionally, he is a Fellow of the American College of Surgeons and is a member of the American Society of Plastic Surgeons, the Florida Society of Plastic Surgeons, and multiple other plastic surgery and medical societies. Dr. Phillips has also completed all recertification requirements. A native of North Carolina, Dr. Phillips graduated with honors from NC State University before completing medical school at Wake Forest University. Following general surgery training, Dr. Phillips completed a plastic surgery fellowship at the Medical University of South Carolina. He has been honored to be included among America’s Top Surgeons since 2002. In addition, Dr. Phillips is an active staff member at Coral Springs Medical Center and North Broward Medical Center. He is a frequent lecturer, contributing author, and winner of many academic honors and awards throughout his career in the practice of plastic surgery. 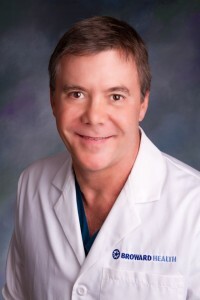 Dr. Phillips strives to remain a leader in advanced techniques and has performed over 12,000 plastic surgery procedures. Dr. Phillips has been in private practice since 1990 and has earned a reputation for combining superb surgical skill and artistry while paying close attention to the specific needs of his patients in a caring and attentive manner. 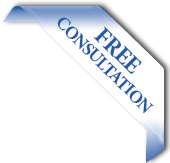 Dr. Phillips specializes in cosmetic surgery of the face, breasts, and body. Meticulous attention to detail and compassionate pre- and post-operative care are the hallmarks of his practice. When he’s not in his practice or the operating room, he enjoys spending time with his family, deep-sea fishing, and kayaking. Dr. Phillips participates in triathlons and has completed the Hawaii Ironman Triathlon World Championship.